For many Canadians in modern day, it is hard to imagine their country as a state without established, widely encompassing human rights laws. Yet, prior to 1982, Canada was a country without a true legal course on such laws. 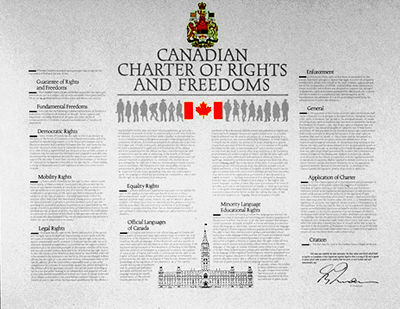 To say the Canadian Charter of Human Rights and Freedoms was a turning point in Canadian history is an understatement. It is thought of by many as the single most important defining moments in the life of the country and its citizenry. Clayton Ruby has devoted his professional career to ensuring that those who are underprivileged and face discrimination are given equal access to the legal system. Many of his cases have been high-profile: He obtained an acquittal for Guy Paul Morin, who was wrongfully accused of murdering a child; he was counsel at the Supreme Court of Canada in R. v. Askov et al, a case that successfully established a constitutional guarantee to a speedy trial; he successfully fought against discrimination policies based on sexual orientation in the Canadian military. In 2006, Mr. Ruby was made a Member of the Order of Canada and in 2012, he was bestowed with the Queen Elizabeth II Diamond Jubilee Medal by the Lieutenant Governor of Ontario. Tom Axworthy has had a distinguished career in government, academia, and philanthropy. After serving as senior policy advisor and principal secretary to Prime Minister Pierre Trudeau, he left politics to teach and take on numerous other positions. In 1999, Dr. Axworthy helped to create the Historica Foundation to improve teaching and learning of Canadian history, becoming its Executive Director until 2005. He’s been the CEO of the Gordon Foundation since 2009. Dr. Axworthy was invested as an Officer of the Order of Canada in 2002 and awarded the Queen Elizabeth II Diamond Jubilee Medal in 2012. In this digital story Activist and lawyer specializing in constitutional and criminal law and civil rights, Clayton Ruby shares the inspiration behind his activism and speaks fondly on the Charter and its impact on the practice of law. In this podcast, Clayton Ruby looks back on the cases he fought with the help of the Charter of Rights and discusses its significant role in defending the accused and upholding civil rights in Canada. Despite its limitations, Ruby expresses his pride in the Charter and recalls how its “father”, Prime Minister Pierre Trudeau, expressed the same before his death. In this digital story, Senior policy advisor and principal secretary to former Prime Minister Pierre Trudeau, Tom Axworthy reminisces on an inspired career and having played a role in the birth of the Charter. 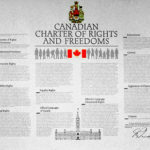 In this podcast Tom Axworthy recalls the history of the Charter of Rights, from a passionate idea in the heart and mind of Pierre Trudeau and his colleagues to its inception and the many challenges and compromises in between.